The Yellowstone supervolcano’s last eruption wasn’t a single event, but 2 closely-spaced eruptions that put the brakes on a natural global-warming trend, says a study. The Yellowstone supervolcano’s last catastrophic eruption, about 630,000 years ago, was not a single event, but two powerful and closely-spaced eruptions, according to a new study. The super-eruptions were powerful enough, the researchers say, to slow a natural global warming trend that eventually led the planet out of a major ice age. For the study, presented at the Geological Society of American’s annual meeting in Seattle on October 25, 2017, a team of geologists from the University of California Santa Barbara (UCSB) analyzed two layers of volcanic ash discovered in seafloor sediments off the coast of Southern California. These layers of ash, sandwiched among sediments, bear the unique chemical fingerprint of Yellowstone’s most recent super eruption. and contain a remarkably detailed climate record of the violent events that formed the vast Yellowstone caldera – or cauldron-like crater – that we see today. 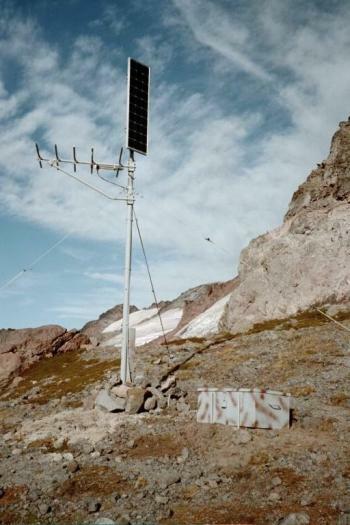 By comparing the volcanic ash record with the climate record of single-celled marine animal fossils, it’s quite clear, Kennet said, that both of these eruptions caused separate volcanic winters, when ash and volcanic sulfur dioxide emissions reduce the amount of sunlight reaching Earth’s surface and cause temporary cooling. According to the study, the onset of the global cooling events was abrupt and coincided precisely with the timing of the supervolcanic eruptions. These feedbacks might include increased sunlight-reflecting sea ice and snow cover or a change in ocean circulation that would cool the planet for a longer time. 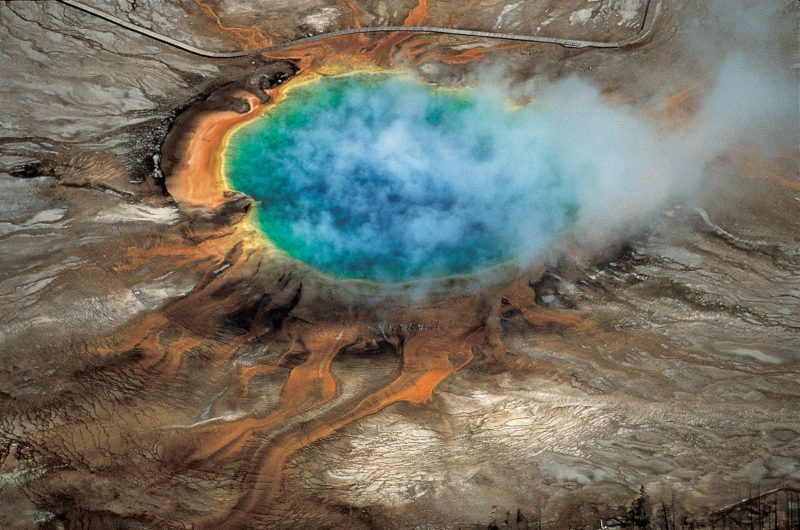 Bottom line: New research suggest that the Yellowstone supervolcano’s last eruption wasn’t a single event, but 2 closely-spaced eruptions that slowed a natural global-warming trend.